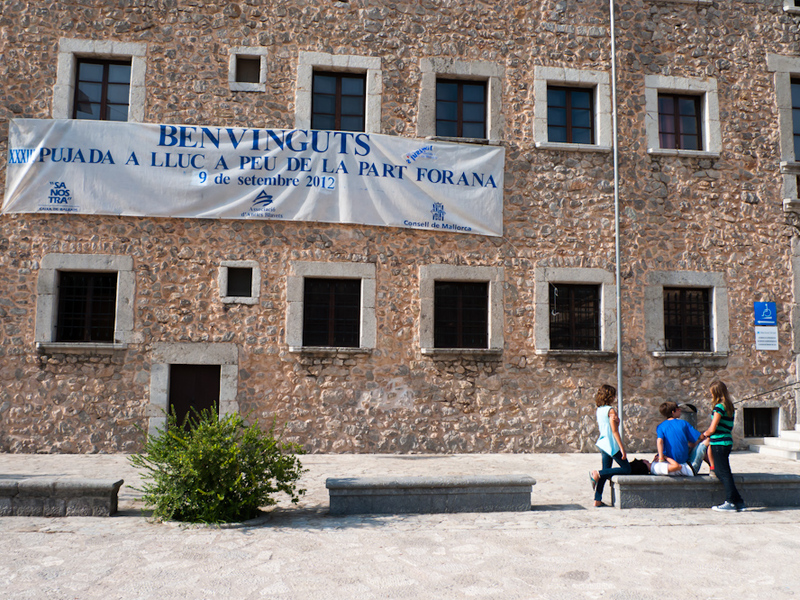 Earlier this morning, thousands of ordinary Mallorcan people, young and old, will have arrived at the monastery of Lluc after a night-long foot march across the island and up into the Tramuntana mountains. 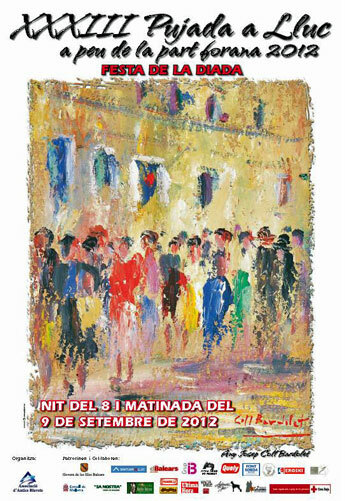 You may remember, that every year on the first Saturday in August, the Marxa des Güell a Lluc a Peu is being undertaken. Now, five weeks on, the same ambitious walk was embarked upon along even longer trails, from the Part Forana, Mallorca’s hinterland. Last night, people set off in their hundreds from Alaró, Alcúdia, Algaïda, Andratx, Artà, Binissalem, Bunyola, Calvià, Campos, Can Picafort, Esporlas, Felanitx, Llubí, Llucmajor, Muro, Petra, Sa Pobla, Santa Margalida, Santanyí, Son Servera, Vilafranca de Bonany, you name it. The main stop for everyone on the way up was in Inca at 04h00 this morning. Refreshments were handed out and medical assistance was on the ready in Inca, Selva and Caimari. Participants were given a T-shirt and a ribbon. Everyone will have been given a certificate upon arrival, as well as hot chocolate and Bollería pastries. There was also a church service for those who wanted to attend after a successful completion of their strenuous task. The photo (top) was taken in Escorca, Mallorca, Baleares, Spain. The date: September 7th, 2012. The time was 17:40:34. The photo (bottom) was borrowed from the Internet, courtesy of diariodemallorca.es and the photographer, Simó Tortella. Would love to have taken part…. We went into the Basilica after stopping in to get our hotel room (with a great balcony and view … the balcony is almost as big as our room (see photos). We do have a “living room” down the hall which is working out great. I don’t think we will care tonight while we sleep.